Mei Xiang in her outside yard at the Giant Panda Habitat at the Smithsonian’s National Zoological Park. 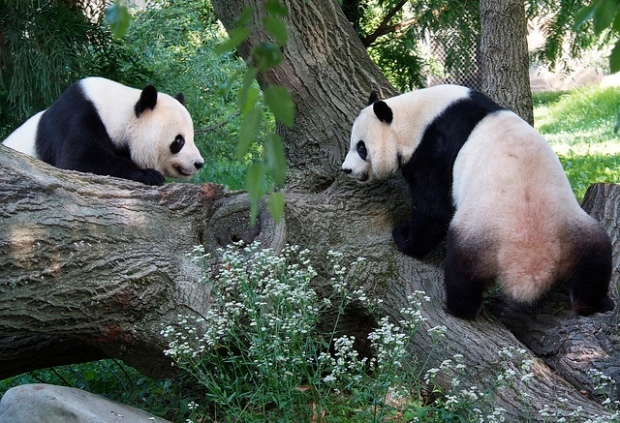 The Dr. Ruth of Chinese Pandas is helping the National Zoo with mating season. The zoo flew in Dr. Tang Chunxiang of the China Conservation and Research Center for the Giant Panda to work with their beloved female panda Mei Xiang and her mate Tian Tian. Over the weekend, the doctor first made an attempt at natural breeding, which was unsuccessful. The zoo, however, is now working with the doctor to artificially inseminate Mei Xiang. Two inseminations have already been performed. "Both procedures went extremely well and the staff at the Zoo was happy to collaborate with Dr. Tang," said Pierre Comizzoli, a research physiologist at the Zoo. "Comparing our process and Dr. Tang’s in China, we found our insemination techniques were very similar. Both countries really do have common practices in giant panda reproduction. We are all hopeful for a cub this spring." The Washington panda pair became local heroes after giving birth to their cub, Tai Shan, in 2005. 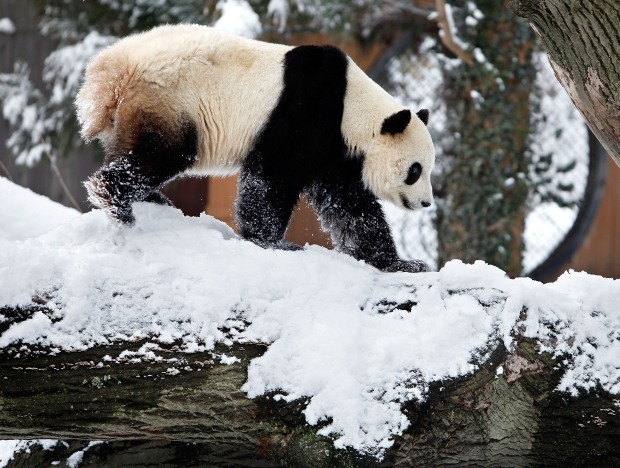 After 4-and-a-half years as the star of the zoo, Tai Shan was shipped to China in February 2010. So why ship an expert all the way in from China? The National Zoo explains why breeding is so tricky. Giant pandas have one very brief breeding season each year, with only a day or two of actual mating. The early start of these past three seasons is unusual, but the expertise of the Zoo’s staff enabled them to immediately identify signs of this early reproductive activity and prepare natural mating as well as a possible artificial insemination. As early as two weeks ago, the Zoo’s animal care team noticed Mei Xiang exhibiting signs of estrus, including distinctive vocalizations that are associated with mating season. Staff immediately began monitoring the hormone levels in her urine, which allowed them to predict when she was in peak estrus and most fertile. Timing is crucial—female giant pandas only have about one day a year in which conception can occur. There is no conclusive study that indicates what induces the breeding season in giant pandas. Although scientists know that they mostly breed in late winter to early spring, it is not known if the onset of reproductive activity is triggered by increasing day length, temperature or some other environmental factor. Zoo officials are keeping their fingers crossed as the metro area is officially on cub watch once again.